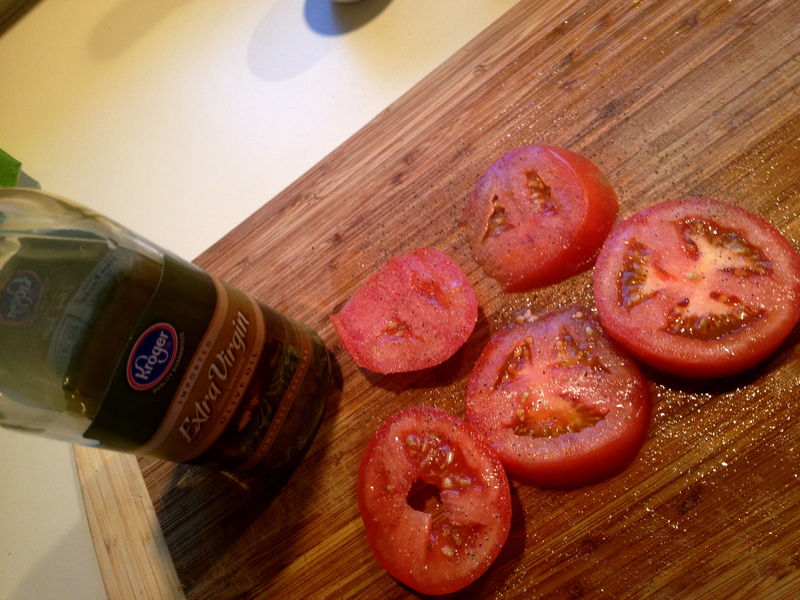 Recipe: Tomato Caprese on the Cheap | mrs. and the misc. Ever crave something but not have all the ingredients? Then drive all the way up to the grocery store to buy said ingredients, only for the store to be sold out of a particular ingredient or two? Well, that just happened to me. 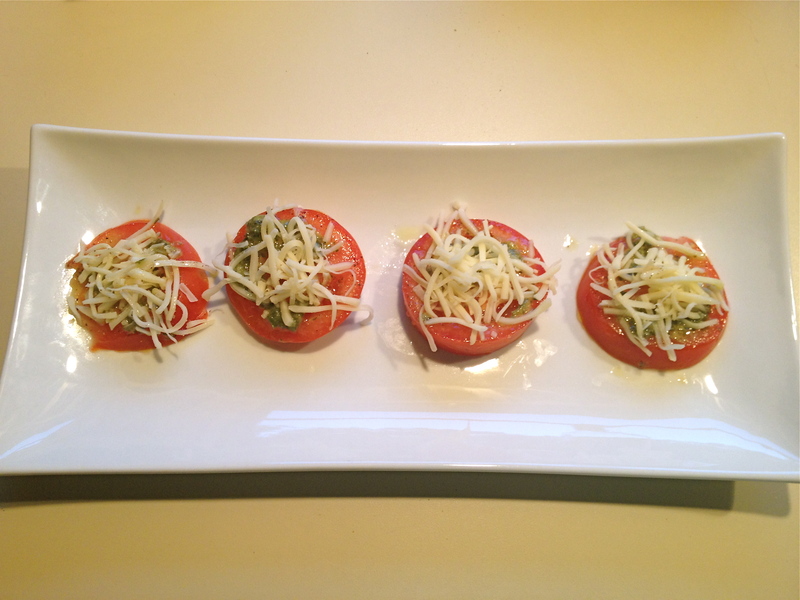 I wanted a tomato caprese salad with fresh basil and fresh mozzarella. Unfortunately, my Kroger had just remodeled and I could hardly find a thing, and they were completely out of fresh basil. So, I got creative. It is “on the cheap” because I already had some of the ingredients in the house, and they’ll last for much more than just my little salad. The following is my creation… enjoy! This is everything you need. Unless you want salt and pepper, which I did end up using. 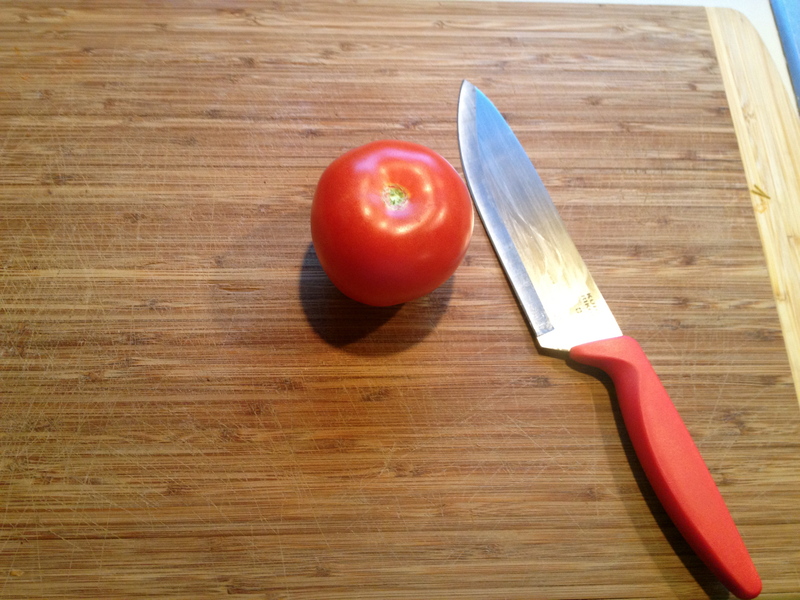 Step one: Slice the tomato into thick slices. 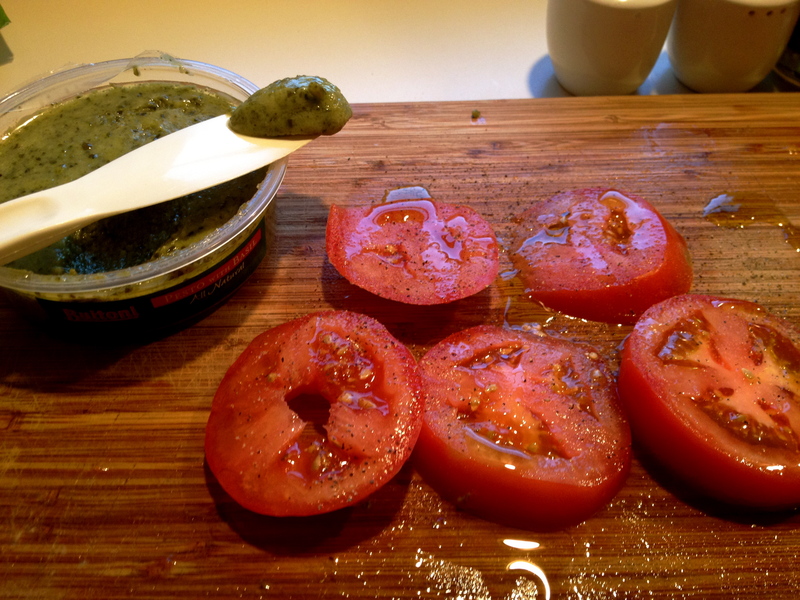 One medium tomato yields three thick slices and two thinner but still usable slices. 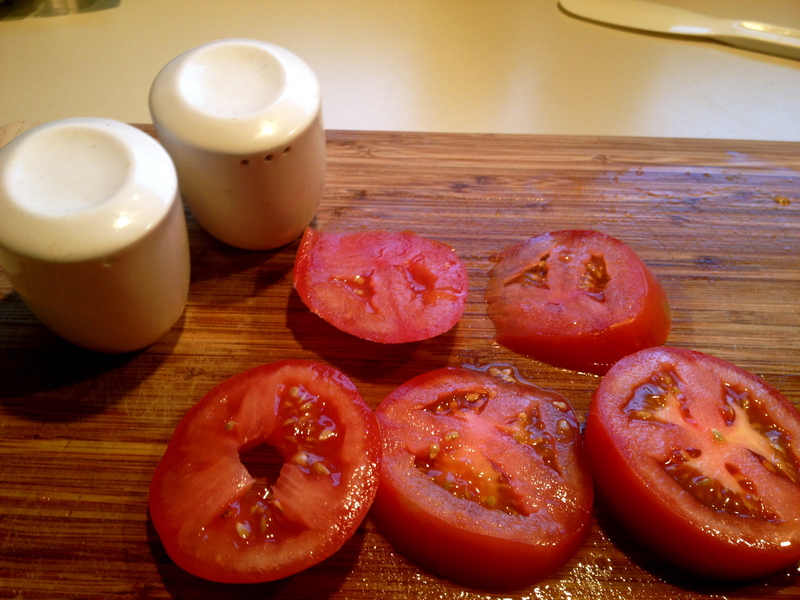 Step two: Season your tomato slices with a little salt and pepper. Step three: Drizzle a little olive oil over the slices. 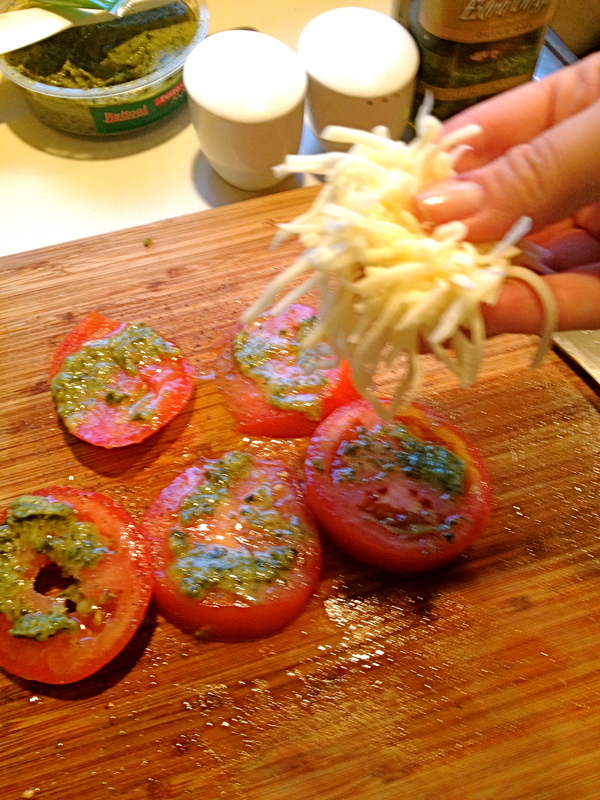 Step four: Spread a small amount of pesto over the tops of the slices. 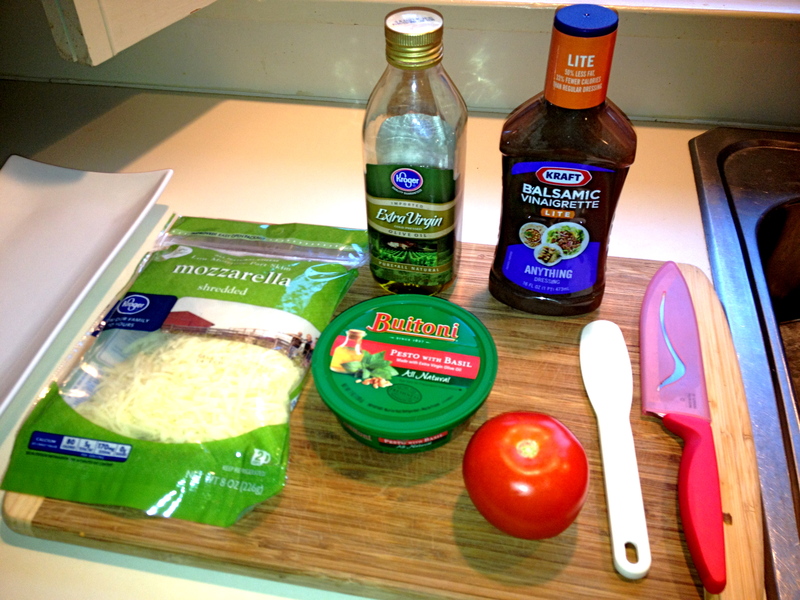 Step five: Sprinkle with shredded mozzarella. Do not melt it. Step six: Plate and serve as an appetizer to share, a salad, or a meal. One tomato is pretty filling! 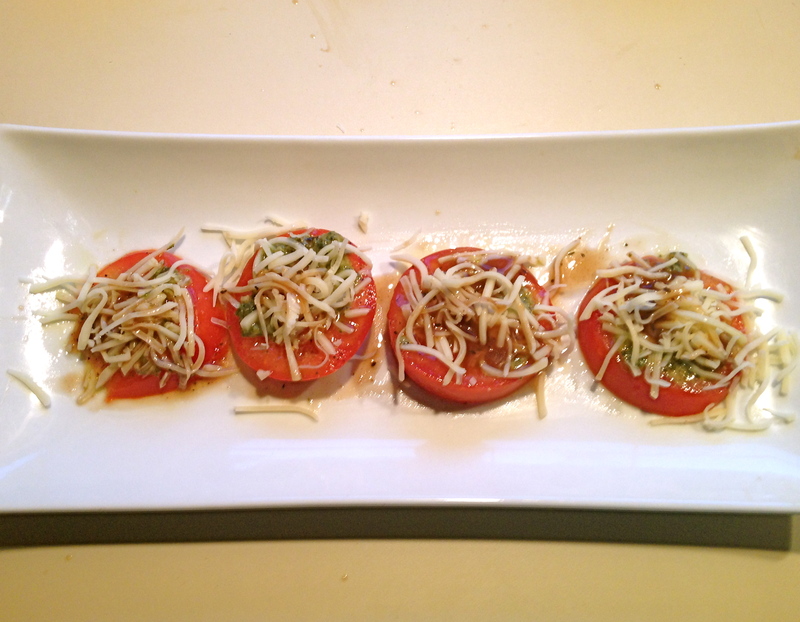 Bonus step: If you have balsamic, a little drizzle adds a delicious little bite. I didn’t, but did have balsamic vinaigrette salad dressing. It’s not needed for this recipe to taste amazing, but it certainly didn’t take anything away from it either. 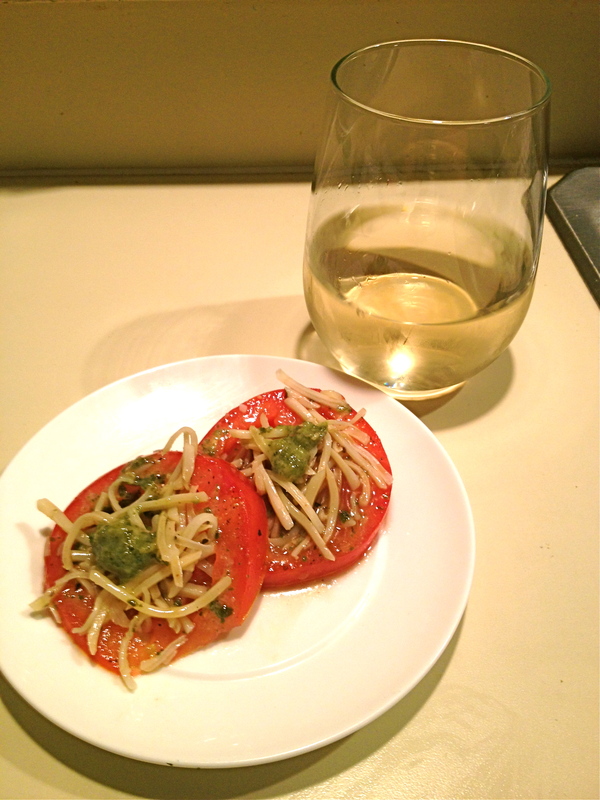 A little wine and caprese salad before dinner – yum! It tastes just the same.